Elaine’s singing gifts were recognised whilst attending Trinity College in her early years. During this period she sang at London venues and found herself on Top of the Pops. 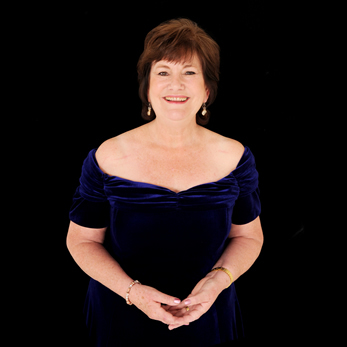 Elaine is now well known for her concerts and oratorio work with Ian Clarke,Philip Bond and Louis Alvanis. and has produced the Albums, Holy City,Toward the Light,Music for a while and Songs for Everyone. and is to be found on Vanguards 2. 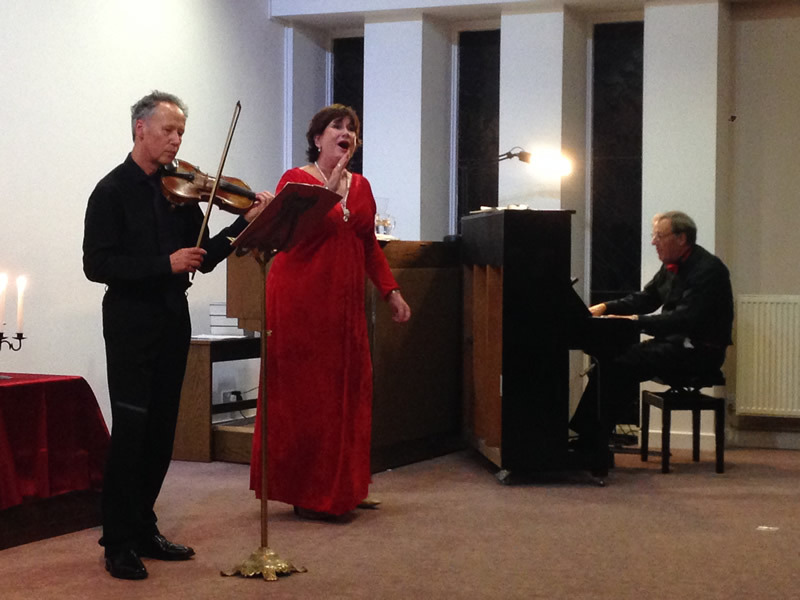 Elaine has performed for Conservation at the Yorkshire Wildlife Park and also at St John’s Smith Square. My first singing solo was when I was 7 at North Wembley Methodist Church as Angel Gabriel in the Nativity. My parents thought I would not be confident to sing in front of people but it was at this time they realised I had a voice. I continued singing and found myself singing solo for all the schools in the borough at Wembley Town Hall when I was 11. My parents wanted me to have a proper job so I studied as an Engineering draughtsman and also at Trinity College in London after work! I found myself singing with a band at The Dorchester Hotel, Cafe Royal, Cumberland Hotel and many more. I also had my first solo leads at this time with Willesden Operatic, Slough Operatic and many other societies. Andrew Jackman arranged music for Peter Skellern and he knew I could sing so he asked me to back Peter Skellern’s music including You’re a lady and Softly Whispering I love you which were top of the hit parade! I was now on Top of the Pops! Sidney Bromley, a Shakespearian Actor, suggested that I returned to my studies which I did with Mavis Bennett who taught me many of the main arias and roles. Eventually, I found myself singing with Pro Musica Chorus. I travelled all over Europe with Sir Charles Mackerras and John McCarthy, chorus master of Covent Garden, and sang at places such as Palau de la Musica in Barcelona, in the televised production of Benvenuto Cellini in Lyons, at St Cecilia Auditorium in Rome with the Rome Opera Chorus and at Lourdes. Mavis Bennett had sung with Sir Thomas Beecham and she suggested I entered a competition in which I was accompanied by Robert Keys. I came second but was told later that this amazing accompanist said that I would one day make a really good singer! He had worked with Maria Callas. This was a time of personal development for me as I found out I was really ill with undiagnosed Coeliac disease and after an interview at the Birmingham Conservatoire I started work with the late repetiteur Stuart Smith and vocal coach Janet Edmunds. I have had a long term musical relationship with Janet and I have much to thank Stuart for as his knowledge of opera was incredible. I believe now I am part of their legacy and I will never forget that. The Birmingham Conservatoire wrote an article for their magazine about my music and my fight against Cancer whilst I lived in Birmingham. I had many accompanists over the years but eventually found Ian Clarke a conductor, great musician, adjudicator and Cambridge Organ Scholar whom I still work with. Whilst my husband was posted in Birmingham, I continued making a lot of money for Cancer Charities and involving schools such as King Edward V1 in Birmingham. The Cathedral in Birmingham was very supportive and at one time Pro Musica led by Robert Hamwee came from London to perform with me. I performed for a charity supporting Malawi and many schools were involved. This included a kaleidoscope of music from all over the world. I have also performed with Sargents cancer care for children. When I visited Israel I was asked to sing ‘The Holy City’ on the Mount of Olives looking over Jerusalem. Arrangements were made for me to make a recording including other arias, which was sold for Cancer Research. 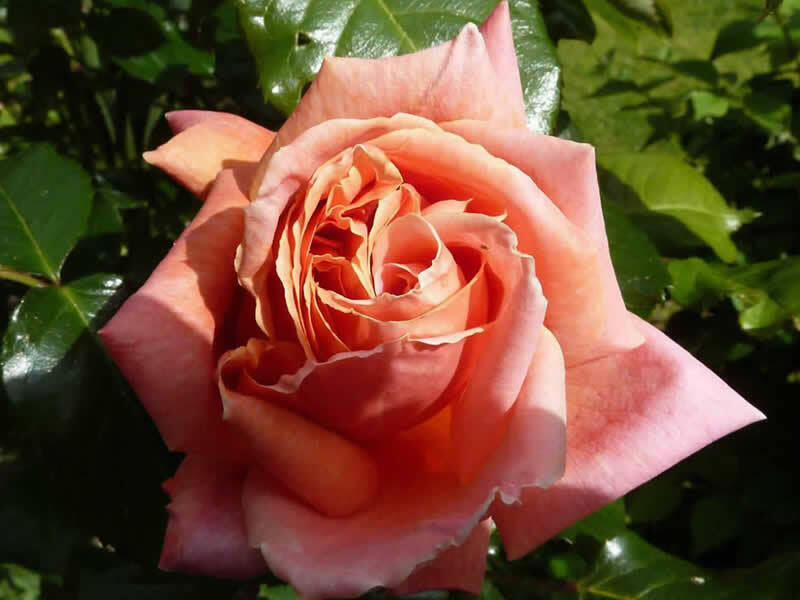 My health improved and I was contacted by Louis Demetrius Alvanis from the Royal Academy and he arranged for me to sing at St John’s Smith Square. This was my debut and the beginning of my becoming a professional classical singer. Since then I have sung in many International Concerts as a solo recitalist and have sung with amazing artists from all over the world, including Ayako Yoshida Violinist, Anna Maria Stanczyk, Louis Demetrius Alvanis, Silvano Minella, Paulo Vairo and many others. I have also taken master classes for young singers. I produced ‘The Voice of Elaine Huckle’ which was remastered and is still being sold by Ravello. I became a hero for Classic FM. Ave Maria by Schubert has been selected to be part of an Album called Vanguard 2, which is made up of world class composers. I have more recently had the opportunity to sing the Grand Finale twice for Yorkshire Wildlife Park with artists such as Peter Andre, a slightly different world for me. I am also looking forward to singing for the Heckington Show later this year and the Centenary of the First World War at St Andrews.Heckington. I suppose I am a singer that has followed her passion not for fame but for the love of music and life. My next effort Songs for Everyone is to meet all people with my music and to use the proceeds to support the United Lincolnshire Hospitals and Nordoff Robbins. The CDs are on sale for 10.00 pounds at Donaldsons,Heckington, Boston Stump, Southwell Cathedral , United Lincolnshire Hospitals Trust Shops and via my website shop or from Elaine on 01529 461704. Elaine’s work is now being included in an audio delivery made to Discovery Communications (parent company of television networks The Discovery Channel, TLC, Animal Planet, and more) in early August 2013. Elaine has recently signed a Contract with Parma Recordings where they are remastering and rereleasing some of her Music and distributing it through Naxos. 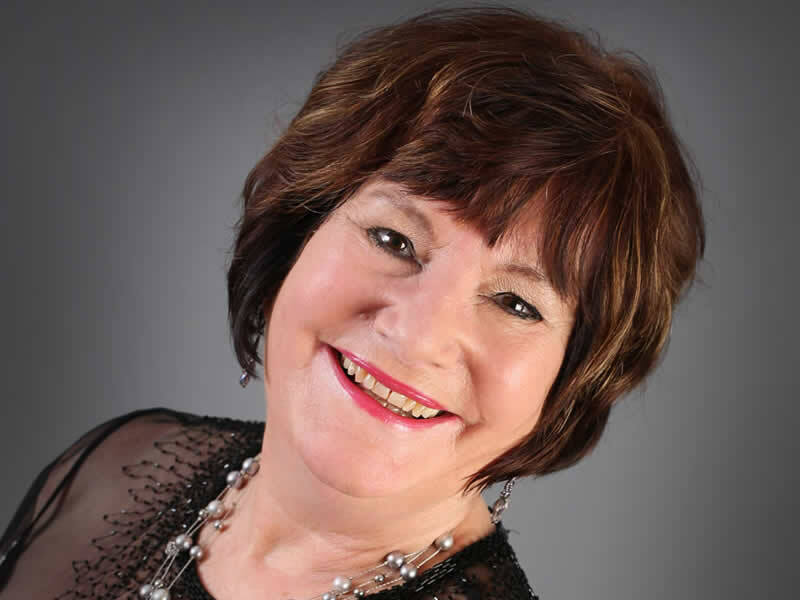 Elaine is a CLASSIC FM FOUNDATION HERO as she has collected a great deal of money from her original CD, “The Voice of Elaine Huckle” and given it to disadvantaged children. She expects to be able to give a donation from the new CD as well.